The Commonwealth Financing Authority has approved a $100,000 grant to support improvements to Lewisburg’s Hufnagle Park. The grant was awarded through the Greenways, Trails and Recreation Program, which is funded by proceeds of impact fees assessed on unconventional natural gas drilling in the Commonwealth. It is great to see impact fees collected from the natural gas drilling industry coming back to our community, supporting our environment and enhancing recreational opportunities for our residents. Our community previously benefitted from a similar grant to the Merrill W. Linn Land and Waterways Conservancy, allowing the organization to invest in a land preservation project in Union Township. These are valuable investments in our community that would not be possible without the impact fee and the law that dictates very specifically how the money is to be spent. While our governor continues to clamor for a severance tax to grow the size and cost of government, the taxpayers are far better off with impact fee investments like these. Grant Writing Seminars a Success! Thanks to the Susquehanna River Valley Visitors Bureau for its sponsorship of two Grant Writing Seminars held last week. 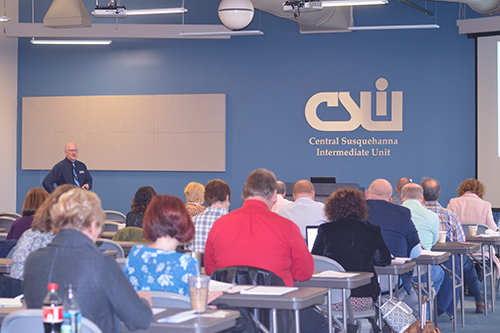 We welcomed 92 individuals from more than 60 community organizations at events held at the Central Susquehanna Intermediate Unit and the Middlecreek Area Community Center. 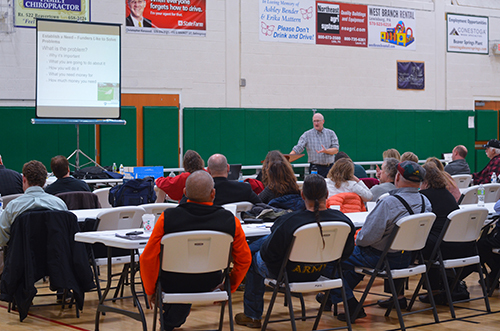 Also a special thanks to Neal Fogle, Penn State Extension educator, for presenting, and to Pronto! Provisions with a Passion (Market Street, Lewisburg) and Rayada’s Restaurant (Route 522, Beaver Springs) for providing lunch! Wood-Mode Fine Custom Cabinetry recently sent the inaugural vehicle over the rebuilt bridge structure on Route 522 in Kreamer. We would like to extend our appreciation to Wood-Mode, and all area businesses and residents, for your cooperation and understanding throughout this bridge project. Please note: My office in Mifflinburg will be closed on Thursday, Nov. 23, and Friday, Nov. 24, in observance of the holiday. In other PennDOT news, driver license and photo centers will be closed Thursday, Nov. 23, and Friday, Nov. 24. 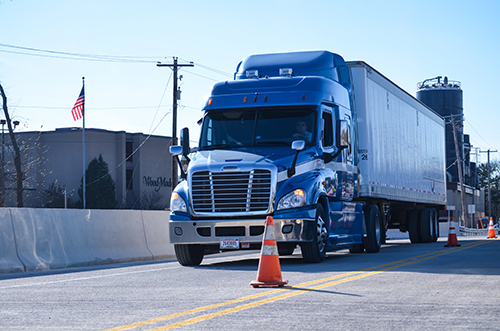 Customers may still obtain a variety of driver and vehicle products and services online through PennDOT’s Driver and Vehicle Services website, www.dmv.pa.gov. I recently had the opportunity to discuss transportation issues at a local business gathering. 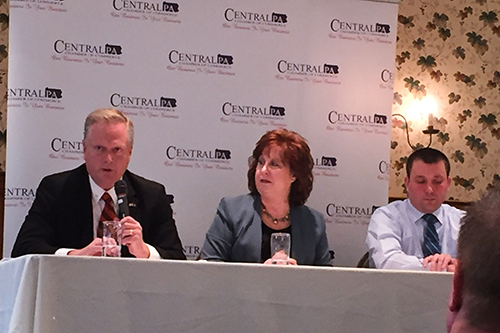 In my comments I stressed the need for municipal and county officials, as well as business associations, to plan and prepare for the impacts of the $700 million CSVT project to avoid repeating the growth-related mistakes and ongoing failure to make business our business by connecting business and community. Small Business Saturday is coming up this Saturday, Nov. 25, to encourage residents across the Commonwealth and here in our communities to support small, local businesses during the holiday shopping season and all year round. Nearly 1 million small businesses in Pennsylvania employ about 2.4 million workers, as of 2014, and make up more than 98 percent of the state’s employers. Thinking about starting your own small business? Click here for help. Positively identify the target – Be sure you are shooting at legal game and not another hunter. And never shoot at sounds or movement. Know your zone of fire and never shoot at game moving between you and someone else. Wear the mandated amount of fluorescent orange clothing and use layers of clothing that wick moisture, insulate, and block wind or rain to help keep you safe and comfortable. Let someone know where you are hunting and when you will return. They should alert authorities if you do not return at the appointed time. Carry a basic survival kit and know how to use it. Handle all firearms as if they’re loaded. Never assume they are unloaded and double check to be sure. Always point the muzzle in a safe direction and don’t put your finger on the trigger until you are ready to shoot. Unload and place your firearm on the ground before crossing a fence, log or other obstacle, or climbing a tree. Shoot only when a safe and adequate backstop exists. Don’t shoot at hard, flat surfaces, water, or a target on the horizon. For more information, visit the Pennsylvania Game Commission website at www.pgc.pa.gov.